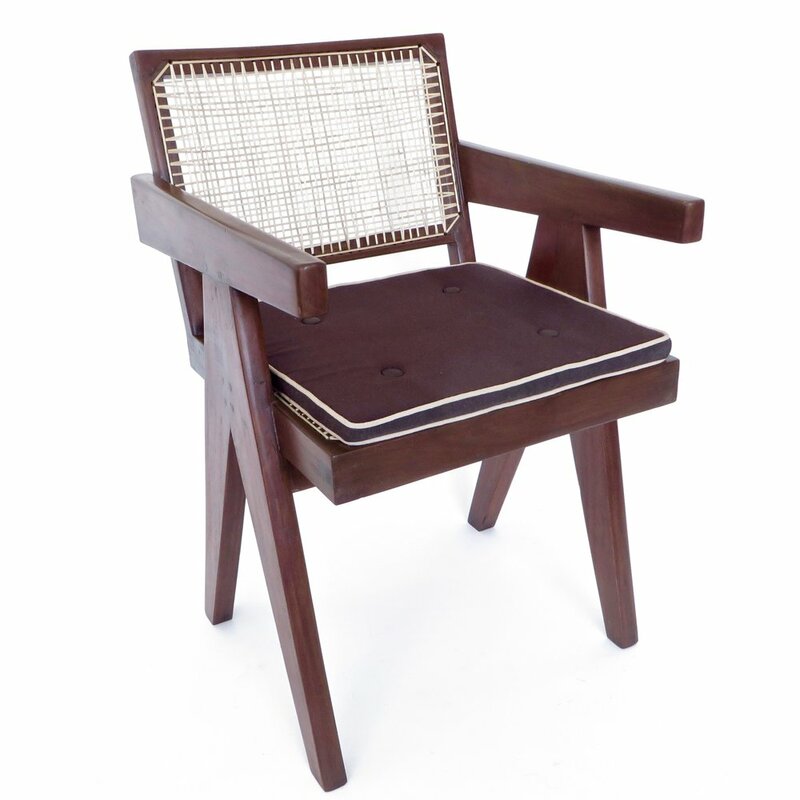 In teak with cushion and with bended and slightly curved back. This example has been restored with a wax finish. Signs of use and wear attribute is originality. Documented E. Touchaleaume G. Moreau Le Corbusier, Pierre Jeanneret, L'Aventure indienne,&quot; Gourcuff Gradenigo, color reproduction on page 563 (PJ-SI-28-B).